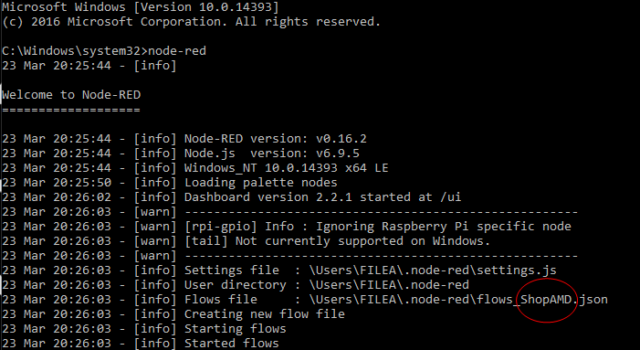 In the end it worked out, I noticed that the machine name was something random Windows picked out when installing. In my wisdom I decided to change the machine name. 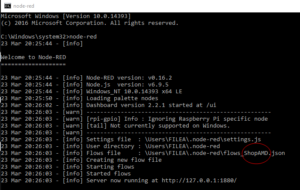 Lo and behold Node-Red expects the flows files to have the machine name in the file name. This made it look for a non-existent file. renaming the files fixed everything up! 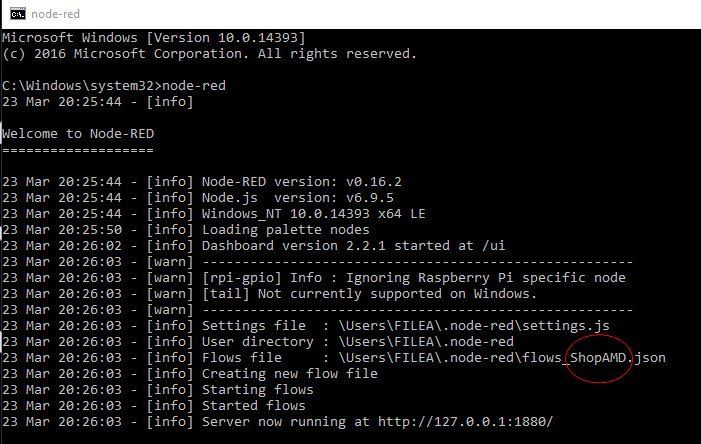 First open a command prompt and run Node-Red, it will tell you the file name of the flow files it is loading. Then browse to the file location, ensure the files are there and rename them if necessary.